A classic event. This is the last edition of the PA Rando Fleche that features the Weisel Hostel as a finish venue. Serving as our traditional "rando clubhouse" the Weisel youth hostel is a congenial venue for brevets of any length. Enter the main hostel driveway off Richlandtown Road. After about 200 feet, turn right on the gravel road before the barn, then another immediate right to park your car in the large, grassy field next to the main driveway. Do not park at the end of the driveway by the hostel building. The parking spots near the hostel are reserved. Lodging is available for a nominal fee at the hostel for the evenings before and after the event. 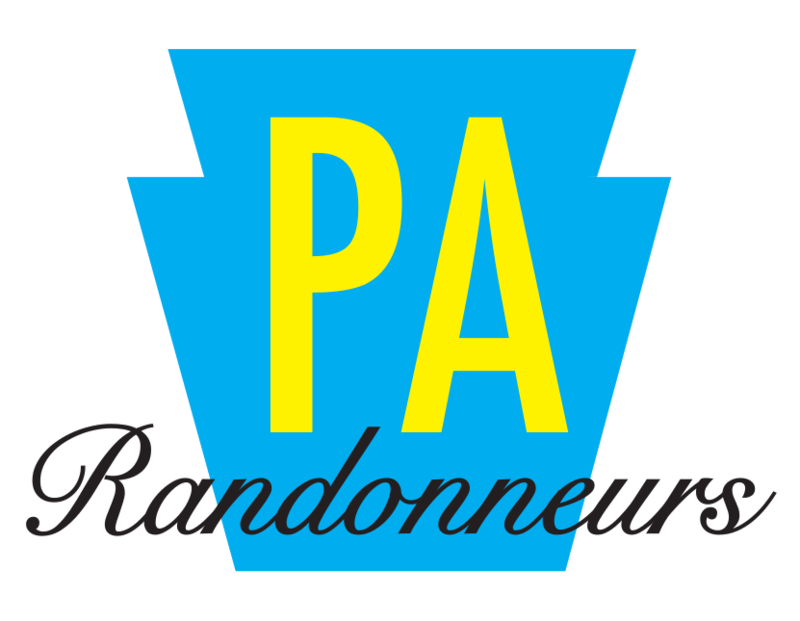 This event is a randonneur-style, flèche team event sanctioned by RUSA and ACP and counts toward the R-5000 medal. Allowable start times are from noon Thursday through 10 AM on Saturday. A minimum of 360 km must be covered within 24 hours with no rest stop longer than 2 hours. Teams are composed of 3 to 5 bikes and each team designs their own route, converging to the common finish destination. All participants are obliged to follow the Rules for the Flèches-USA, as well as local vehicle laws (PA, NJ, NY). Safety is a primary concern. All riders must sign a waiver. Please read these Safety Instructions. Please include a list of controles for your proposed route when you submit the route for review. Be sure to provide the complete name and address of the establishment, along with a phone number. Route approval is based upon meeting the minimum distance between controles (safely navigable by bike) as well as meeting the 22-hr controle criteria. You may submit your route in an on-line application, such as RideWithGPS, or it may be a cue sheet with a list of controls. If you use on-line means, please either provide the requested control information in the GPS map itself or in a separate list. Cue sheet submittals should be delivered in a spreadsheet format that is accessible using MS Excel. I encourage Captains/route designers to contact all controls to confirm they remain in business and will be open when you plan to arrive. Though the Fleche rules include steps to take if you arrive at a control only to find it unavailable, you can avoid disruptions by taking this step beforehand. Once the proposed route is approved by the RBA, the list of controles are to be added into a Flèche control card prepared in Jake Kassen's Card-O-Matic applictation and a copy of the card copied into the RBA's CoM account. After route approval, any changes to the controls you plan to use must be submitted to the RBA to confirm that the minimum controlled distance is maintained. A minimum of 25 kilometers must be ridden in the final 2 hours of the event. Proof of passage, such as a store receipt or stamp, must be obtained at the end of the 22nd hour at some location. Due to the new destination, recommendations for establishments meeting the 22-hour distance criteria are not available. Be sure that the minimum distance is covered (360 km). There should be several controls along the route, probably not much further than 100 km apart. If the route is not a straight run at the finish, then any "corners" should be set at controls to show that no shortcuts were taken. Mileage credit will only be given to the shortest distance navigable by bicycles, between controles. A loop course may be designed, to minimize team travel between the start and finish. The start location, however, must be different from the finish, and a road may only be used once (crossing at a single point is allowable). Parking is typically available at the destination location so teams may leave one or two cars there to shuttle bikes and riders back to the starting location after the finish. A shuttle service (like one typically used to get to an airport) is one suggestion to get team members back to a common location. Weather forecast for finish location: Quakertown, PA.